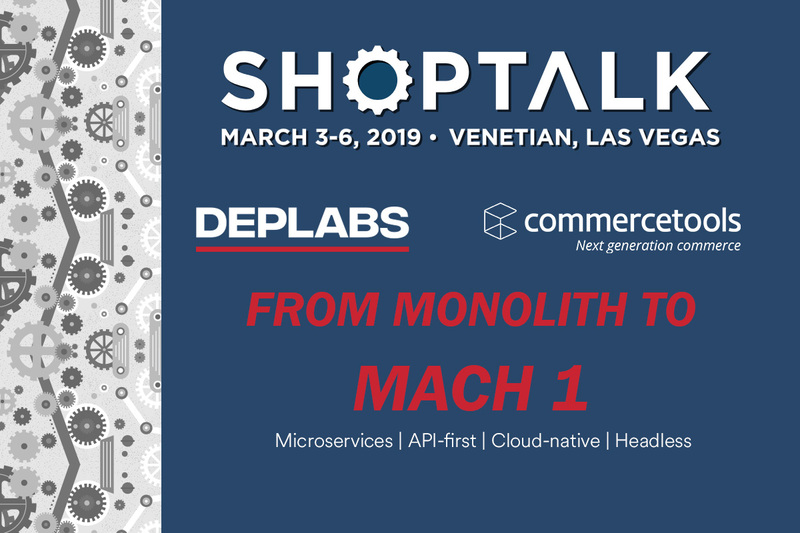 Shoptalk 2019 is almost here, and we’re very excited to spend four days with the retail industry’s community of innovators and movers. DEPLABS and commercetools will be right in the middle of the action at Booth #4618, so make sure to swing by, meet the team, and learn how we’ve helped brands like Mizuno, Neostrata, Enesco and others push the frontiers in the digital experience space. Next-generation digital platforms powered by microservices, API-driven, cloud-native, and headless. Omnichannel strategy: connecting digital and physical shopper journeys, enabling cross-channel commerce and merchandising. D2C / DTC pilots and experiments: innovative projects by retailers and brands to transform their traditional supply chain digital ecosystems. Commerce personalization: digital innovators’ journey from product recommendation to true data science and AI enablement. 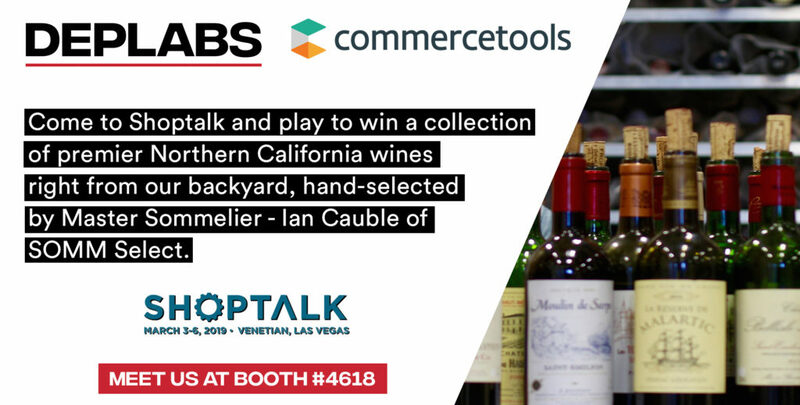 Come meet both teams at Shoptalk Booth #4618 to see how we can help you reach your Digital Commerce goals. You can schedule your appointment here. As an added bonus, we’re raffling a collection of premier Northern California wines from DEPLABS backyard, hand selected by Master Sommelier Ian Cauble of SOMM Select, our long-time valued client!